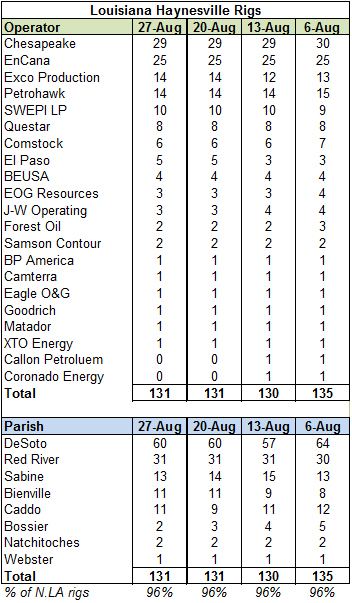 The Haynesville Shale rig count increased by two to 179 this week, a relatively quiet one for rig changes. 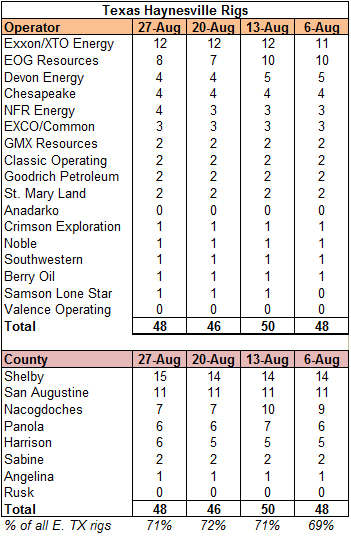 The net two rig increase was entirely in Texas, which currently has 48 rigs working. 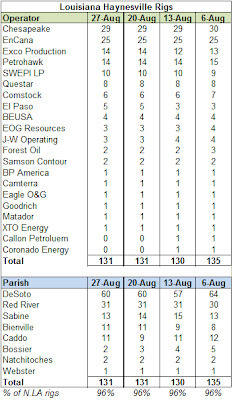 The Louisiana Haynesville rig count held at 131. The maps and spreadsheets have been updated. Really appreciate all the work you do, keeping up with this information. 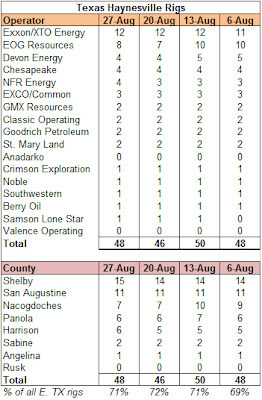 I think you have a great idea here and will have a great way of looking at Haynesville historically, in the future. I know of no other one-stop archive like this for any other play, past or present. Thanks. I am glad people are able to get something out of it.